↑ Auden, W. H.; ed. by Edward Mendelson (2002). Prose, Volume II: 1939–1948. Princeton: Princeton University Press. p. 478. ISBN 0-691-08935-3. Auden used the phrase "Anglo-American Poets" in 1943, implicitly referring to himself and T. S. Eliot. ↑ Smith, Stan, ed. (2004). 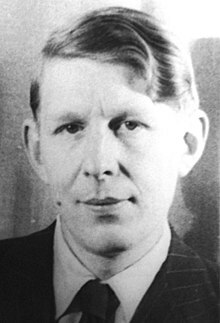 The Cambridge Companion to W. H. Auden. Cambridge: Cambridge University Press. ISBN 0-521-82962-3.